AFTERNOON, a monthly manga anthology published by Kodansha. 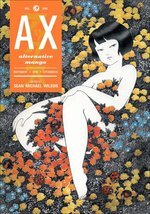 Many excellent comics been serialized in this magazine, some of which have been published in English, and some of which are high on the list of titles I’d like to see licensed. (In the former category is Yuki Urushibara’s Mushishi, which is the topic of the current installment of the Manga Moveable Feast.) Here’s the link to the magazine’s website. One of those is by Hitoshi ASHINANO, and it’s called Yokohama Kaidashi Kikō. I’ve written about that book here. 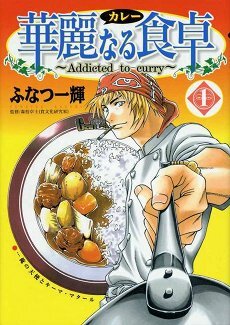 Staying on the subject of unlicensed seinen, devotees of culinary manga yearn for an English-language version of ADDICTED TO CURRY, written and illustrated by Kazuki Funatsu and serialized in Shueisha’s Weekly Young Jump. Over 30 collected volumes of the tale of a struggling restaurant are in print. 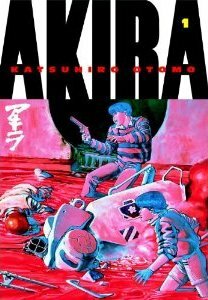 One of the most well-known seinen titles is probably Katsuhiro Otomo’s AKIRA, which has been available in English for many years and is being re-released by Kodansha USA. Many people cite AKIRA as their gateway manga, and it’s been adapted into a highly regarded animated film. 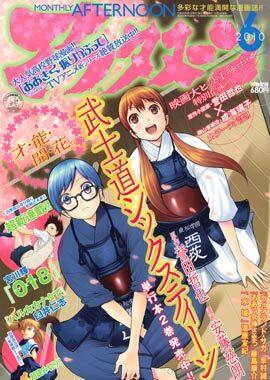 The manga originally ran in Kodansha’s Young Magazine. 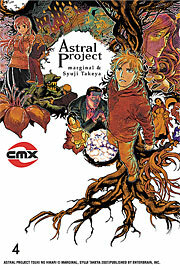 CMX has released the four volumes of ASTRAL PROJECT, written by marginal (also known as Garon Tsuchiya of Old Boy fame) and illustrated by Syuji Takeya. It’s a meditative piece of science fiction, sprinkled liberally with social commentary, and it’s excellent and odd. It originally ran in Enterbrain’s Comic Beam, a rich vein of clean-burning seinen ore.
One should always take the opportunity to mention the godfathers when such opportunities present themselves, so I’ll note that Viz published Osamu Tezuka’s ADOLF, a five-volume thriller about three men with that unfortunate name, including the one who made it so infamous. ADOLF originally ran in Bungeishunjû’s Shukan Bunshun. 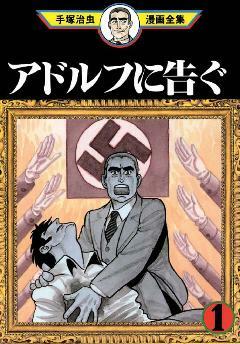 I’ll also note that another seinen work by Tezuka, AYAKO, is due for publication in October 2010 by Vertical. Both of these either fall into or were inspired by the seinen subcategory known as gekiga, offering realistic drama based on real-world concerns and complex interpersonal relationships. While Tezuka can be credited with a lot of the building blocks of what we consider modern manga, we must cede ownership of the gekiga movement to Yoshihiro Tatsumi. Some of Tatsumi’s startling and bleak gekiga stories have been collected by Drawn & Quarterly as ABANDON THE OLD IN TOKYO. One of the most interesting things about seinen is that it seems like such an equal-opportunity category to me. Many of my favorite works have been written and illustrated by women. Perhaps this is because many seinen magazines are less for the vague demographic of “adult men” and more for “people who still like comics after adolescence is over.” I could be wrong, but it seems like more women and girls read seinen and shônen than men and boys read josei and shôjo, so perhaps it isn’t surprising that a respectable number of women create seinen and shônen. 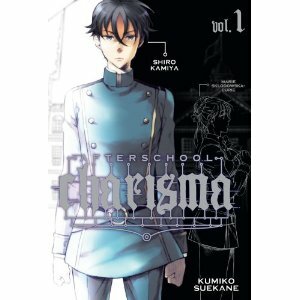 One of those women is Kumiko Suekane, creator of AFTERSCHOOL CHARISMA, which originally ran in Shogakukan’s IKKI and is now being serialized online by Viz prior to print publication. It’s about a high school for clones of famous and infamous historical figures. If you’ve ever yearned to read of the teen adventures of bishie versions of Napoleon, Freud, and Hitler, this is the comic for you. I didn’t even know that I’d yearned to read such a thing until Viz made it possible. Another is Moyoco ANNO. She’s worked in shôjo (Sugar Sugar Rune) and josei (Happy Mania), but I believe one of her biggest hits runs in a seinen magazine, Kodansha’s Morning. It’s called Hataraki Man, and I want very badly for someone to license it. She’s also done a one-volume series called Sakuran for Kodansha’s Evening. So, what starts with the letter “A” in your seinen alphabet? Updated: I can’t believe I forgot another great creator, Hideo AZUMA, who has worked in a variety of categories during his career. He also created a wonderful autobiography, Disappearance Diary, which was published in English by Fanfare/Ponent Mon. One of his seinen titles, Yakekuso Tenshi, was serialized by AKITA SHOTEN in its Play Comic anthology. And JTabon reminds me of INIO ASANO, that gifted portrayer of disaffected youth. Viz has published Asano’s single-volume solanin and two-volume What a Wonderful World! solanin originally ran in Shogakukan’s Young Sunday, and What a Wonderful World! ran in Shogakukan’s Sunday GX. Asano was recently profiled in The Daily Yomiuri and credited with “stories of youth that would be too alien or embarrassing for full-fledged adults.” As a full-fledged adult, I have to take issue with that, though I do tend to view them with a little bit of what I can only describe as old-man smugness. You are currently browsing the The Manga Curmudgeon blog archives for the day Wednesday, April 28th, 2010.